I constantly hear people complaining about the cold Boston winters, but I always say we should embrace it. 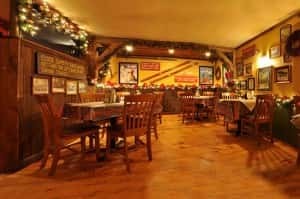 We live in a pretty unique part of the country where we can hop in a car, drive 2- 3 hours north and experience a quaint little New England ski town. My town of choice, which has been since I was 10 years old, is North Conway New Hampshire – about 2 hours drive from Downtown Boston. Every Friday night in the winter my parents would pack my brothers and I up in the car and make the trek north. To this day, those weekends are some of my best memories. North Conway is my home away from home and is frequently voted by ski magazines as one of the Best Ski Towns in the United States. Tucked away in the Mount Washington Valley and known for its rich heritage in the ski industry, North Conway will give you access to five great mountains Cranmore, Attitash, Wildcat, Black Mountain and Bretton Woods. Cranmore Mountain, found right in the heart of North Conway Village is one of the best family mountains in the northeast. Known as one of the first mountains to create a ski school back in the 1930’s, Cranmore prides itself on catering to beginners/families and offers a wide variety of entertainment for both skiers and non-skiers (check out their tubing park, mountain coaster, climbing walls, ropes course, indoor tennis, etc.). If you are looking for more of a challenge and want to ski with the locals, you have to venture 30 minutes up to Wildcat which is situated directly across from Mount Washington. Wildcat, the tallest ski mountain in the Valley, has the most vertically challenging runs while offering the most spectacular views of Mount Washington. The incredible views definitely make up for the freezing temperatures and high winds Wildcat consistently experiences. So plan accordingly or bundle up if you make the trek to Wildcat, it will be worth it. Not a skier, not a problem! 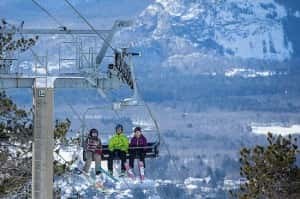 North Conway has plenty to entertain those looking for activities off the slopes. Just a short drive to Jackson Village you will find Nestlenook Farms where you can take a horse drawn sleigh ride, go on a snowshoe hike or enjoy some skating on their outdoor pond. And come night, head back down to Cranmore for some night tubing under the lights. 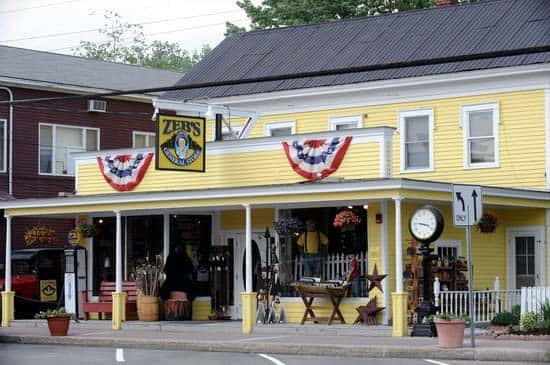 So whether you are looking for a weekend adventure of skiing/riding or a relaxing girl’s getaway filled with shopping and spas, North Conway is the spot. So instead of hiding inside all winter thinking about the beach, take a trip to North Conway and embrace the snow, embrace the mountains, and most of all embrace winter. I guarantee you will understand quickly how my family fell in love with this town.